Would your appearance improve with the removal of an unwanted skin tag or mole? Does your skin show signs of aging or sun damage? Or are you dealing with the appearance of unwanted hair? Common conditions like these can be easily addressed by taking advantage of the services that we offer at our dermatology clinic. Recent years have seen stunning innovations in dermatological treatments and procedures. One of the fastest-growing areas in dermatology is the rise of minimally invasive techniques that can significantly enhance the appearance of your skin without the need for surgery. This means that you can return to your normal activities immediately after your treatment in many cases. You can also avoid much of the expense and complications related to surgical procedures. 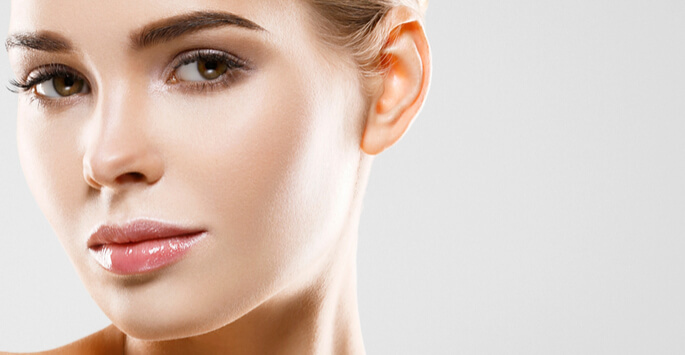 If your skin is looking dull and tired lately, a procedure called microdermabrasion can help. The outer layer of your skin is not actually living tissue; it is a thin layer of material made of lipids and dead skin cells that are blocking the living skin underneath from being visible. By spraying your skin with microscopic particles, we can break up this material and exfoliate your skin, which has a brightening effect upon your complexion. A mole is a group of skin cells that are dark in appearance and can appear anywhere on your skin. As you grow older, you are more prone to the development of moles, a usually benign form of skin growth. Although moles are typically benign, their appearance may be unwelcome to many patients who desire their removal. We begin by examining the unwanted mole to determine if it is benign or not. We may take a tissue sample or completely remove it at this time. If we take a skin sample, medically known as a biopsy, we will send this to a lab for closer examination. Mole removal is a very basic form of surgery that can be performed at our dermatology clinic. It can be performed through surgery that removes the unwanted tissue. Smaller moles can be removed using a surgical shave that removes both the mole and a portion of the tissue under it. Not to be confused with microdermabrasion or microblading, microneedling is a skin rejuvenation treatment that is effective for minimizing the appearance of scars, stretch marks, hyperpigmentation, and wrinkles. After numbing your skin, we move a handheld device over the surface of your skin repeatedly. Each pass of the device forms hundreds of microscopic channels in the surface of your skin to trigger the removal of damaged skin tissue and the formation of new collagen and elastin fibers. If you would like more detailed information about the various treatments and procedures offered by our dermatology clinic, please reach out and make an appointment with Pinnacle Dermatology! At our convenient location in Birmingham, our devoted professionals will be ready and eager to explain the full range of your options, address any questions or concerns you may have, and help you decide which option would be best for you and your needs. Contact us today to set up your consultation!